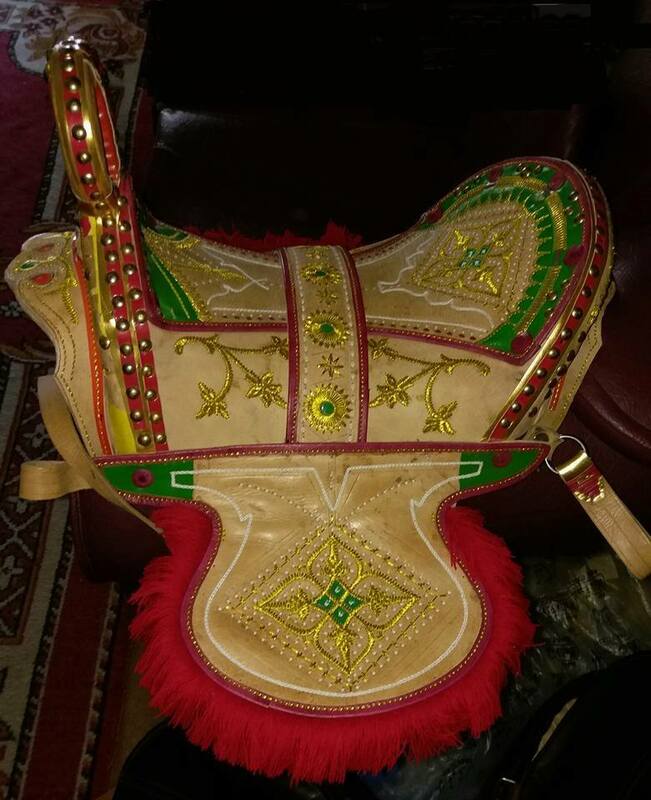 Tradional-style handcrafted saddle that is truly a work of art as well as functional. This saddle style has been used successfully for centuries. 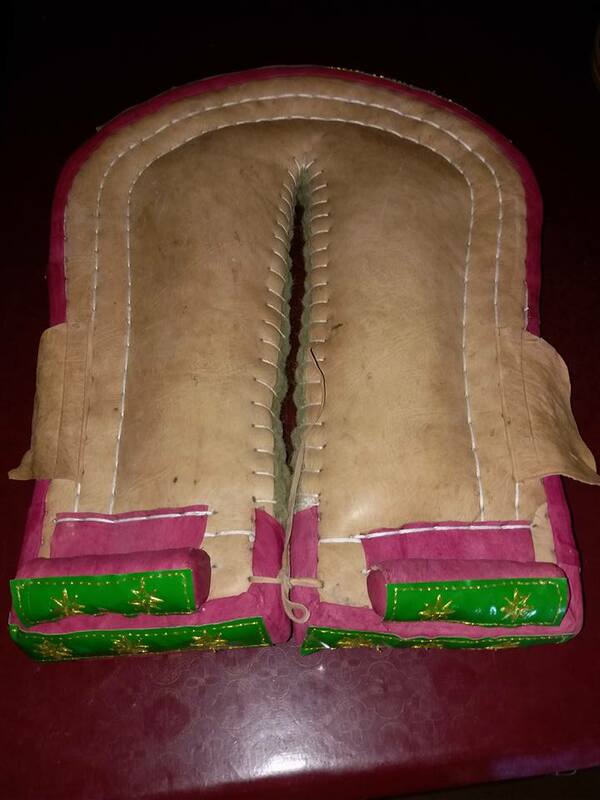 All embroidery (called tillah) is hand sewn onto a lighter-weight leather, which is then overlaid onto the stronger structural base leather. Wooden tree. 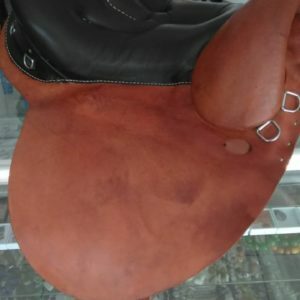 The panels are unique, being separate from the saddle, and the panel flocking can be customized by any saddle fitter to fit each horse. Easily purchase 1 saddle, then a separate panel pad for each horse for customized fits. Please allow up to 90 days for delivery. Free shipping in continental USA.